Each year, September 11th is celebrated as Universal Brotherhood Day by Vivekananda Kendra because it was on this day in the year 1893, the King of the Yatis (saints), Swami Vivekananda uttered the five words 'Sisters and Brothers of America' in the World Parliament of Religions at Chicago which won him the hearts of the entire world. His speech was so powerful that He became known as the 'Cyclonic Monk'. 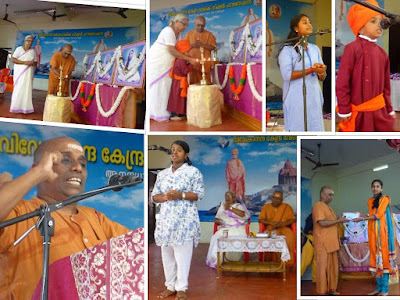 Since Swamiji's words came out from the depths of his heart, Swamiji was able to convey the universal Vedantic ideas of brotherhood to the West, Hence the importance of this day as 'Universal Brotherhood Day' which is being celebrated by Vivekananda Kendra all over India with a variety of programmes. A number of competitions were held on this occasion by Vivekananda Kendra so that the messages of Swamiji could reach every nook and corner. Various inter -school competitions were held for the UP, H.S and H.S.S. sections starting from 26th August. On 26th August, Painting competitions were conducted for classes VI-VII and VIII to X. 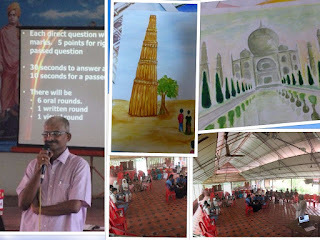 The topic for the junior section was ' Great Indian Heroes and for the seniors, it was Indian Monuments. 64 students from 12 different schools participated. 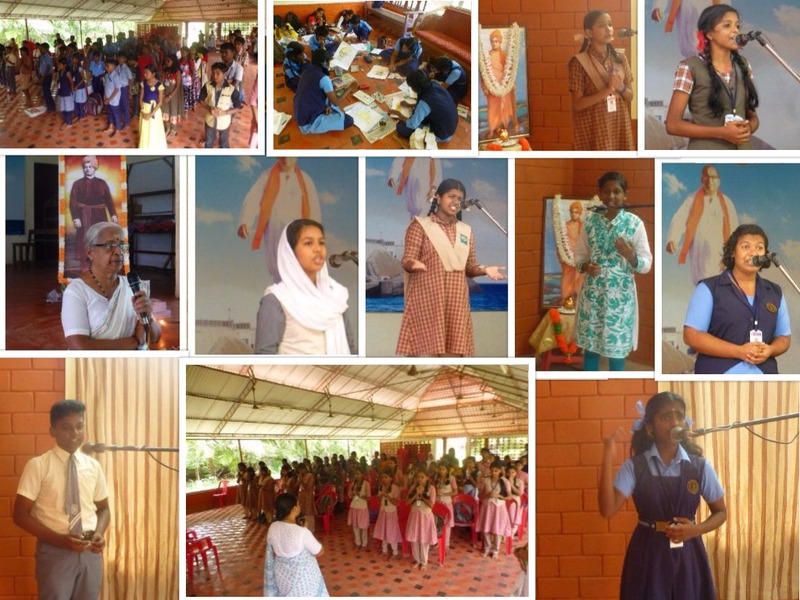 On 27th August, Elocution competitions based on the speech of Swamiji was conducted both in English and Malayalam for the upper primary and high School levels. 82 students participated from 8 different schools. It was a full day programme. On 29th August a quiz competition for classes X, XI and XIIth classes. 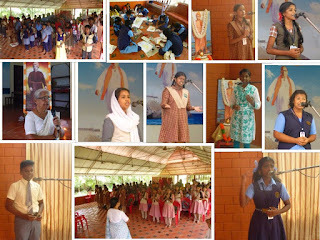 The topic given was 'Simhavalokan' or recollection and recap of all the subjects studied in the lower classes. Five schools participated. 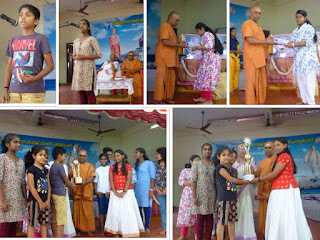 Amrita Vidyalayam secured the first position, Bharatiya Vidya Bhavan, secured the second position, third and consolation prizes went to Guru Sree Public School and HDPY School. 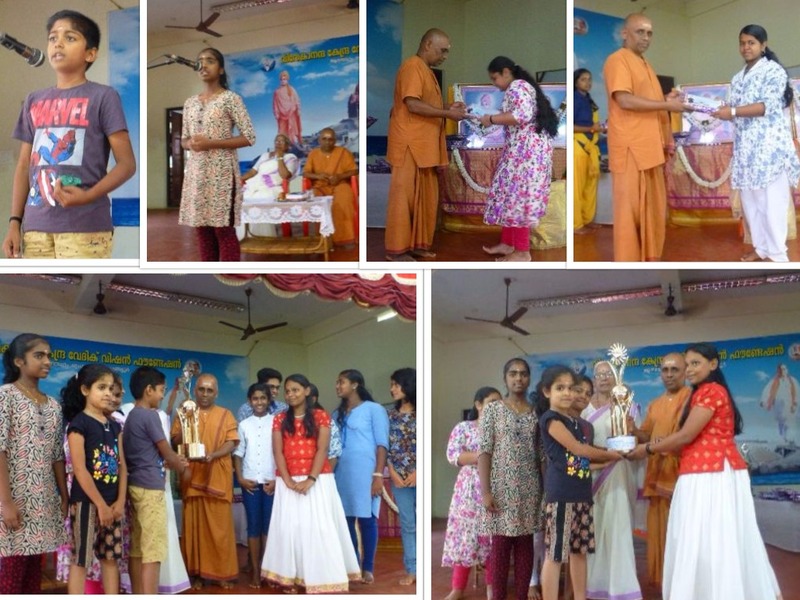 At the end, prizes were distributed by Revered Swamiji to the winning participants. The rolling shield for English Elocution was won jointly by Bharatiya Vidya Bhavan and Amrita VIdyalayam and the Rolling trophy for Malayalam elocution went to Bharatiya Vidya Bhavan.